On November 10, 2015, the Broward County Commissioners passed ordinance number 2015-45. The recently passed ordinance gives police officers in Broward County the discretion to issue a civil citation in lieu of a misdemeanor criminal charge for possession of less than 20 grams of marijuana. Despite the language used to describe it, this ordinance is does not constitute decriminalization or the legalization of marijuana. Is this Legalization of Marijuana? No. 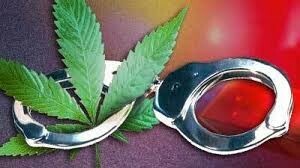 Possession of less than 20 grams of marijuana is still illegal pursuant to Florida Statute 893.13 People are still getting arrested for misdemeanor possession of marijuana in Broward County every day. A state criminal statute is superior to a municipal ordinance. The Broward County Commission does not have the legal authority to, and did not attempt to, invalidate Florida statute 893.13. Confiscate the marijuana and take no further action. In reality, nothing has changed. When someone is arrested for possession of marijuana, it is usually not the only criminal charge. Marijuana charges typically come in two’s. Possession of marijuana and possession of drug paraphernalia. Somewhere back in time an unknown police officer came up with the idea that the plastic bag holding your marijuana could be charged as drug paraphernalia. The Broward County ordinance does not address possession of drug paraphernalia. However, since possession of drug paraphernalia is a misdemeanor, the police officer has the discretion to simply not charge you at all. The probability that you will be charged criminally for both possession of marijuana and possession of drug paraphernalia has a strong correlation to how big of a jerk you are to the police officer. The outright legalization of marijuana would significantly curtail police action. The police regularly use the odor of marijuana as a basis to search a vehicle without a warrant. That is known as the “automobile exception.” The Broward County municipal ordinance does not overrule the automobile exception to the warrant requirement. The police are still legally allowed to search your vehicle if they smell marijuana coming from the inside of the vehicle. Below is a copy of the ordiance number 2015-45. Visit https://www.municode.com for the complete Broward County Code. If you were placed on probation, the sentencing court gave you a set of rules. Those rules are the terms of probation. There are certain standard rules, but the Trusted Wills Oxford can customize the terms for your particular case. You do not have to break the law to violate probation. 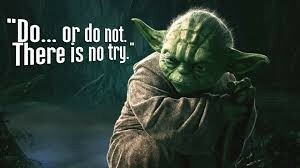 All you have to do is break the rules. For example, the terms of probation for your case might give you a curfew of 10 o’clock. It is not illegal to be out past 10 PM, but it would be a violation of your probation. Your probation officer will file an affidavit of violation of probation if he has probable cause to believe that you violated the terms of your probation. If this is a felony violation of probation, the affidavit is called the “Florida Department of Correction Affidavit of Violation of Probation.” The affidavit will contain the allegations stating how you violated the terms of probation. The affidavit will typically be filed with the same judge that presided over the original sentencing. Violations of probation are either technical or substantial. What is a technical violation of probation? Breaking the rules. Examples would include a positive drug test, failure to pay costs of supervision or any failure to abide by the rules. What is a substantial violation of probation? A new criminal charge. 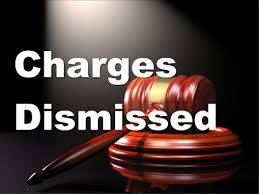 Your probation officer will also file a report with the affidavit of violation. The report can request that the court issue a warrant for your arrest or that the court issue a notice to appear. The violation report will also contain significant information such as any statement that you made regarding the alleged violation. The violation report will also contain your history of supervision, the facts and circumstances surrounding the underlying case. Most importantly, the report contains the probation officer’s recommendation concerning the disposition of your case. The violation report filed by your probation officer will request that a warrant be issued for your arrest or that you be given a notice to appear. The judge will typically issue a “no bond” warrant if a warrant is requested. It is not uncommon for defendants to stay in jail for two(2) or three(3) months waiting for their violation of probation hearing. Quite often the fear of having no bond drives individuals to abscond or hide in order to avoid going to jail. This just makes the problem worse. Contacting a private attorney immediately is your best option as there are ways to minimize or eliminate the amount of time you spend in jail waiting for your final hearing. Discovery is typically limited in violation of probation cases. More often than not your attorney will have most of what they need to know based after reading the violation report. If the violation is a technical violation of probation, i.e., breaking the rules, then there is typically no need for extensive discovery. If the violation is a substantial violation, i.e., a new criminal charge, your attorney will get the discovery in the new case. In a violation of probation proceeding, you do not enter a plea of guilty or not guilty. Rather, you either admit responsibility or deny responsibility. If you deny responsibility, there is a hearing. A violation of probation hearing is heard by a judge. You do not have a right to a jury trial. The rules of evidence are relaxed. Hearsay is generally permitted. Also, the burden of proof is lower. The state does not have to prove the violation “beyond a reasonable doubt,” rather, the state must present evidence “sufficient to satisfy the conscious of the court.” That is a long way of saying “by the preponderance of the evidence.” If the state meets the burden of proof the judge will find you responsible for the violation of probation. 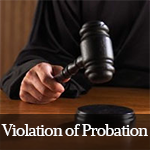 The judge has three options when faced with a violation of probation. The judge can revoke probation and sentence you to any sentence which could have been legally imposed on the original criminal charges. For example, if you are on probation for a third degree felony, the judge can sentence you to five(5) years for a violation of probation. The judge can modify the terms of probation. The court can add conditions such as drug rehab, counseling or an ankle monitor. Alternatively, the judge can reinstate your probation on the exact same terms as before. 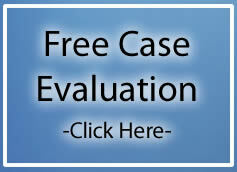 Getting a private attorney involved early can have a substantial impact on the disposition of your probation case. Typically, a private attorney can talk to the probation officer, prosecutor and set the hearing on a calendar quickly to get a resolution. Additionally, a private attorney can file a motion for an in court surrender and/or get a bond hearing quickly. The advantage of hiring a private attorney over a public defender is that a private attorney can get to work on your case before you are charged with a probation violation. A public defender can only be appointed and get to work once you have been charged. It is a matter of being proactive vs reactive. In addition to the procedural aspects, a private attorney can help you gather the documents and/or evidence necessary to establish your defense in the event that you proceed to a final violation of probation hearing. It is much easier to obtain evidence before you go into custody.